Rain's Garden: Two New Cheddars; Leafy Sea Dragon, Jack's Sweater (YOP Week 10) and Potatoes!!! Two New Cheddars; Leafy Sea Dragon, Jack's Sweater (YOP Week 10) and Potatoes!!! My knitted beach cover up is on hold for a while, but now that I have the knitting bug, I had to knit something! 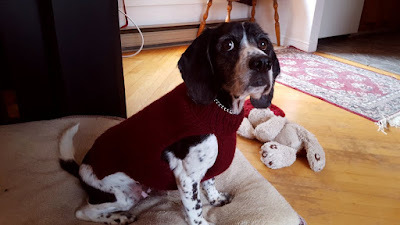 I decided on Martha Stewart's dog sweater pattern. This wasn't on my original list of projects for the year. If anyone wishes to check out the Year of Projects group on Ravelry, here is the link. Is it me or are some of these patterns written in an overly complicated way? I love Martha, but she takes 6 lines to write out instructions that I condensed to one easily understandable line! Anyway, this was easy and fun to make, and Jack seems to like it! He's had it on for about an hour after I washed it and it's already full of Marlene's hair - oh my gosh she is shedding badly! We live in a hairy house these days! I had to wing the size because Jack's rib cage is really outstanding, but his neck is tiny. So it's between a small and medium. If I make this again, I'll have to alter it just a little more to make the underside wider. Do you ever find things that you forgot you had?? This is a book that I found this morning! It was under a bunch of my old school books in a drawer gathering dust. I'm going to look through it for the next project! 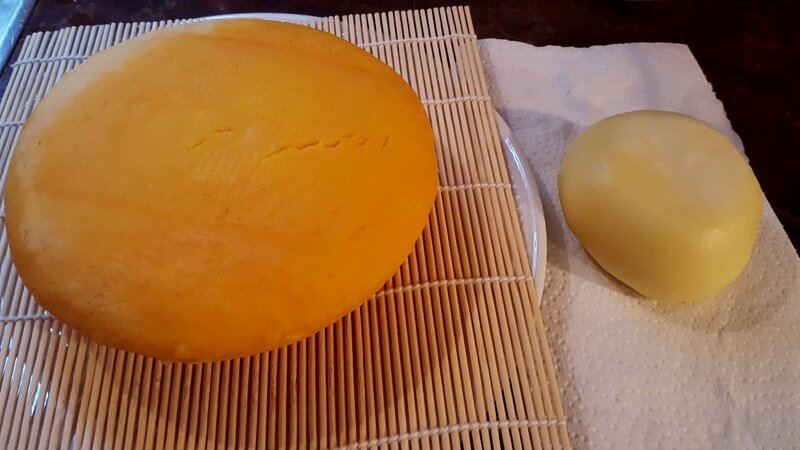 Speaking of projects, I made TWO more Cheddars!! They are both drying out before I start to age them. The one on the left is going to be aged for a year, ready for Labour Day 2018. The one on the right is going to be aged until Christmas or New Year's. I infused it with Newcastle Brown Ale...it smells DIVINE...I'm conjuring up all of my will power to leave it alone without sneaking a bite! The Colby and the aging Mozzarella are dry enough to be sealed today for aging. I made these a few weeks back; the Colby should be ready to try in 6 weeks, and the Mozza, since it's an experiment...not sure how long it'll age! I started my cheese making in July. My goals for the entire year were 4 Cheddars, a Pizza Mozzarella, a Cream Cheese, a Camembert and a Blue Cheese. I haven't done too bad at all for the first TWO months lol...I guess Leigh is right, I'm addicted. Not a bad addiction though! 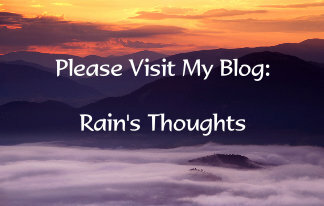 :) I highly recommend Leigh's blog by the way 5 Acres and a Dream. It's a wonderful homesteading blog, I love it. I've been following Leigh for many years now and have learned a lot. Remember the 40 potatoes that I harvested on Wednesday? Half are gone! 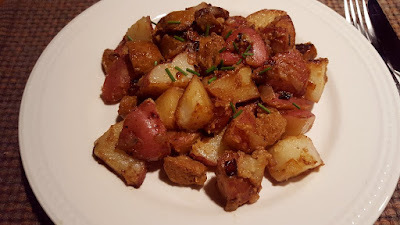 :) I made a dish with sausage and potatoes called French Quarter Potatoes. Very comforting! And I used up the green onions I harvested and made a Green Onion and Potato Soup with homemade bread. MUCH better than leek and potato in my opinion! I love that everything for that dinner was either home grown or home made (except the butter!!). What's up for your coming week? It's Labour Day weekend, and OMGAWD...the tourists are here in groves, yeegad. It's so loud in the village...we are totally hibernating this weekend. We'll have our quiet back on Tuesday, at least until Thanksgiving! With your cheese and my pickles we could put on quite a spread! lol. I love your watercolour dragon. It is so great you have so many creative outlets. The cover up looks good, but can wait. The cheeses look devine. We dug up what seemed to be a million potatoes last week even though they had dried out while we were away. Will have to use some of your recipes! Jack looks quite majestic in his new sweater. So glad he likes it. My male will not let me put a sweater on him. Those cheeses look so yummy. I would love to try them with you. Some cheese and homemade bread and a nice ale on the side. Sounds like heaven. You have done so well with your garden this year. I am sure next years produce will even be better and more abundant. I am impressed with your water color. Keep up the lovely work there......It is not something many people can do. Is that dragon plant or animal? LOL! I fell off the wagon for my art prompt cards although I could get back to it but my days are very full right now until the temps get down to below 50 outdoors....then I can't pain outside plus the sale coming up. I love Jack's sweater and I faved it as I have to make one for Annie...she gets so cold in the winter. Look at your potatoes and potato dishes! Yummo! I need to put fish and chips on my menu....I love them and I found my Fry Daddy so I can make fries. Your cheeses are simply amazing! I will try this winter....maybe...lol! Your water color turned out really cool...good for you with the weekly painting. Did you sign up for Leigh's webinar? I'm looking forward to it as I missed it last year and it will start the day after my sale so I'm good to go then. I have no plans and ran out yesterday and got paint to see if I can finish my entry way and/or the shed outside and some landscaping. So much to do in the Spring and then the Fall but I love it. Always love reading about what you are up to! You are one of my most fascinating friends! Enjoy your 'hiding out'....I sure do! LOL! Nice things going on at your home! You life has grown to be full and varied good for you! Have you ever thought about smoking your Mozz? We used to smoke mine and then put a nice piece of it on a good sized slice of green pepper bushed with olive oil then a bit of cumin on top. Great on the grill. Since Mozz isn't an aged cheese I never come across any that was to taste and try. Will be interesting to see what you come up with. I love your watercolour dragon and I can't wait to see more of your watercolours with the weekly themes! And the cheese, that cheese is so yummy looking and I love the sound of the potato and sausage dish, I must try that one out. Your dog sweater is just the cutest thing ever and I'd make one for my Jasper if he'd even entertain wearing one but he wouldn't! Have a great week Rain. Everything you have said and presented look really wonderful, and what a heart warming home, with things to do and not a moment of idleness spared. Warm greetings. wow...you sure have turned into an excellent cheese maker! they look wonderful! and the sweater is too cute! what is in your village that makes it such a tourist attraction? i know how you feel about having tons of tourists around! it's one of the reasons i like winter and bad weather...less tourists! That yarn book you found is the same one I perused at the library last week! I'll bring it home later on this winter. I already had so many books in my bag I nearly had to drag it to the check-out desk! 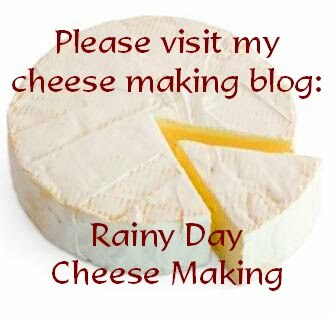 What can one say about your cheesemaking? I wouldn't have believed anyone could become so proficient at it (and create so much!) in such a short time. You are making me so hungry for potatoes! We've been out of them for some time now and won't dig ours until the weather makes it such that we have to and when the root cellar is cool enough for their storage. When we went to that lodge for our anniversary dinner out, Papa Pea's dinner came with a baked potato. I stole half of it and, oh, it tasted soooo good! When I first saw the picture and started reading about your diner baskets and liners, I immediately thought, "I gotta get some of those!" for our burger and shake meals! Just another little thing that you do to create that wonderful feeling of hygge! I had never heard of a leafy sea dragon and was immediately fascinated by your watercolor and the picture of a real one. I had to go online and watch some you tube videos of them and was amazed by these little creatures. I always learn the most wonderful things from reading your blog, especially the recipes. Thank you. You have a wonderful life. Aging cheese is the worst, because you want to eat it before. 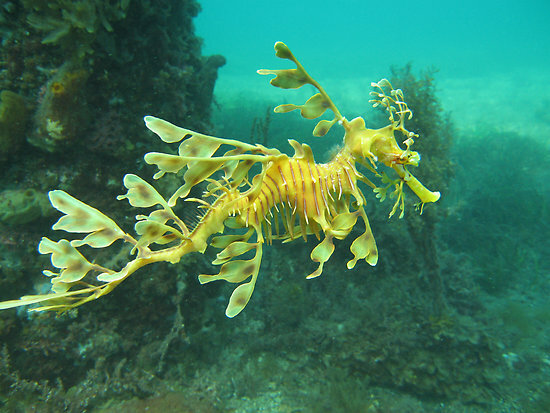 Sea dragons are amazing creatures to watch. I have seen them in aquariums once or twice; relatives of the sea horse. Well done on the painting! the painting is so awesome! jam and i both love seacreaures! the dog sweater and that Jack are adorable! more cheese? oh yes please! i can't wait until you can cut into one and let us know all about it! your fench quarter potatoes look delicious and i prefer green oions in potatoe soup as well! and don't your own potatoes taste so much better than store-bought? oh oh and before i forget - yes Leigh is great and very good at descriptions of various things that happen on a homestead! yummeh - fish and chips! are the fish bought pre-breaded or do your own breading? we've had the tourists up here this weekend past, too, but thank goodness every year there seem to be less and less of them. and we just stay on our prperty and go to the river (most of the tourists have cottages down by the beach).and a bunch of the cottages that are waaay up the road from us are unkempt and look to be falling down. such a shame. but one good thing - there was very little hollering, loud music or too many kids running around screeching! I love your artwork and your cheese creations and the food you make! LOL So much fun at your place. I've been checking out all kinds of art goodies online and watercolour pencils is at the top of my list. I've been practicing drawing every single day and I've started colouring some of them in with crayons and coloured pencils for now. BUt I think I might tackle watercolours in my next sketchbook. They look like fun and it'll be a new challenge. What brand do you use? There are so many out there to choose from. 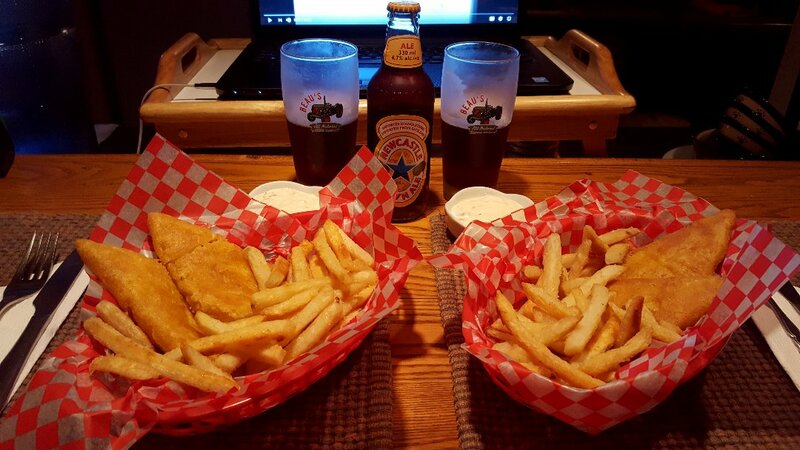 The fish n chips look good in their baskets. We normally have them with salt and vinegar but it doesn't matter if you choose not to. Good effort. 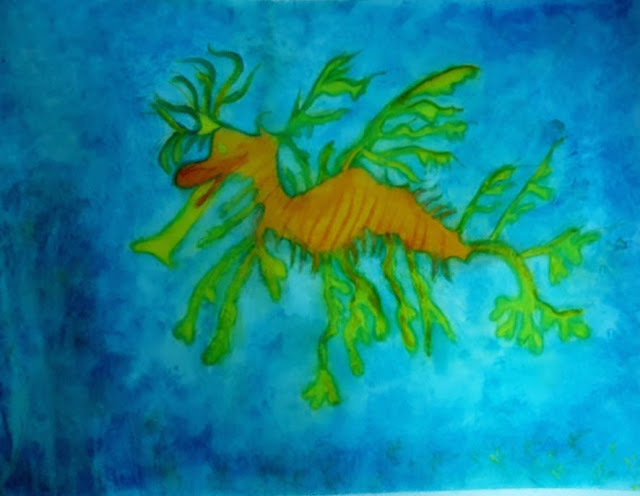 Hi Sam :)) I know...when I first saw a photo of the leafy sea dragon, I was perplexed lol...Funny things huh? I'm finding time for the art projects only because the summer is practically over and I have time now. From May through to August, I was very busy just being in the garden and trying to stay outside and enjoy what sunshine we had! Yes! I signed up for Leigh's Webinar!! I can't wait to see all of what's going to be offered! I'll be busy that week for sure. We did enjoy hiding out this long weekend...now the sun is back...it's like nature is helping us out by making it rain on weekends lol! Hi Snoskred :) I hope it does inspire you! I'd love to have an art room to myself! My paintings often have a cat hair or two embedded into them lol. Hi Becki :) Autumn is definitely in the air. It's the bug-free season while I can still be outside, so my complaints about the end of summer are over! :) I've come to terms with the tomato loss...at least that's what I'm predicting. The pumpkins though, I can't wait to see what happens there! Orange or not, they are getting carved for Halloween lol! The sweater took me 2 days to make...maybe 6 hours total or so. It was fun, but I hate doing a seed stitch, which was a lot of it. 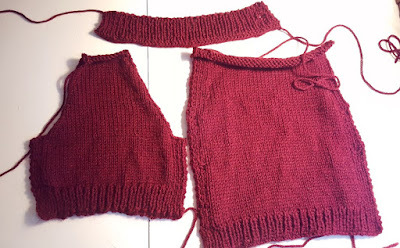 I plowed through though...if it were up to me, it would be stockinette stitch for everything! :) Hope you get to do some crochet! Hi Goatldi :) I did read about smoking the Mozz, but I don't have the tools to do it. Though we do love smoked Cheddars and smoked Goudas. One day I'd like to add that to the cheesy repertoire! Everyone says Mozzarella can't be aged. But Caldwell says it can. I don't know. I know it's supposed to be a fresh cheese. It might well just taste the same but have a harder texture. My goal was to make Pizza Mozza for grating, so maybe this will do it! I have some pizza in the menu plan in the next few weeks, so I think we'll be testing it then! Hi Joyce :) Thank you! The cheese is really going well! Tasting will be the big part of it though. But I'm sure we'll like each one! The village...in the winter it's snowmobiles...during the other seasons it's quads...and also the lake is huge so motorized boats and jet skis...I DESPISE this term, but it brings the "adrenaline junkies" to town and they are LOUD. We didn't know about all the trails and the lenient laws on the lake until after a year living here. Our landlord was deceptive, not mentioning it, saying you could hear a pin drop any time all year round. But we're resigned to stay until we buy, we're sick of moving and renting! Hi Mama Pea :)) Oh thank you! :) Ha ha ha, HAVE a knitting machine? I AM A KNITTING MACHINE lol...no, it's just that I had lots of free time indoors over the weekend hibernating from the neighbours! :) Though I often thought about a knitting machine, but how does it do fancy stitches? 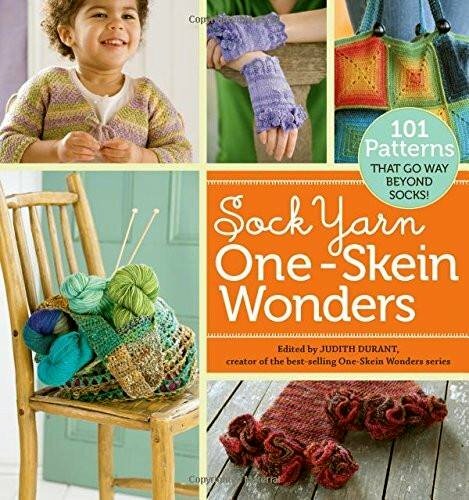 I don't know, I knew someone who had one and she always did the same stitch, stockinette. I think it takes the fun out of it though. Oh, lucky that you have a good library! Honestly, I don't even remember when I bought that knitting book. I didn't even realize it was for sock yarn until I saw it again the other day! Bakes potato with butter and sour cream is the tops! :) We haven't baked any yet, but that's next on the list. They are so creamy, very different from store-bought! I remember from last year, you usually have enough for the year when you harvest yours right? I would love to get to that stage...that makes at least 10-15 pounds a month for us. We eat a lot of them. Hi TB :) I know...I have 6 wheels aging and 2 drying at the moment...it's rough seeing them, beckoning me to devour them lol! And thanks :) The painting was a challenge because it was hard not to make it look like a cartoon! Hi Kymber :)) More cheese, this is ONLY THE BEGINNING lol! I have a dozen or more I want to try making!! :) Oh gosh yes...you were right, the taste and texture of the potatoes is SO MUCH better home grown...I wish I'd had room to do more! Next year though! I don't think I'll rival your thousands of potatoes lol, but I'll try! We actually watched a bunch of Rodney Dangerfield movies this weekend. It was funny, and painful at times lol...a lot of his movies are "t&a" if you know what I mean...meant for teenage boys lol...he's a riot though. Hi Dorothy :) Oh, I can't wait to see your crochet dog coat! I've tried crochet, but never really got the hang of it. I'd like to try again at some point and give it more of my patience! I've seen people make some really pretty things! Ha ha ha...a sponge cake is something I haven't tried making yet actually!! That's funny. Jack is such an adorable model! That's a nice, simple pattern - I may try one for Lovey, although she is in love with her fleece jacket! Your cheeses sound divine! Can't wait for all the unveilings. I am a leek and potato girl, myself, but I would love to try the green onion version. I know what you mean about tourists and holidays - we are on the pathway for the city people heading to Vermont for the holiday (and now looming - the dreaded Leaf Peepers!). It is impossible to pull out on the road from Friday late afternoon to Sunday late afternoon. All the second-homers near me have big, LOUD parties all weekend long. Joy. Makes you long for winter, LOL! Hi Susan :) The pattern really is simple, but for some reason Martha Stewart loves to make it sound complicated...or maybe I'm just too much of a newb lol...she has hers all put together with buttons, but I ended up sewing up the seams and making it a proper sweater because I knew the buttons wouldn't keep it closed. I am noticing though, that the neck band is way too narrow for Jack, so I'm going to knit a second one, maybe a few inches wider, and sew it onto the current one. It keeps riding his shoulders, that can't be comfy for him! 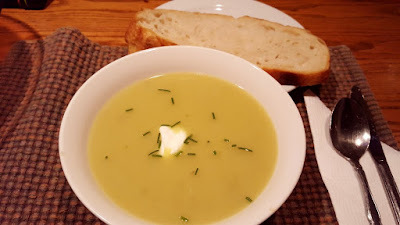 I like leeks, but I find them a bit stringy, when I make leek and potato soup, I need to strain it. The green onions though give a milder flavour, it's really very nice! OMG Leaf Peepers lol! We call them "Leafers"...they invade the north in the fall, but luckily and hopefully only the more touristy areas still! How fun to see your painting. I have not used water color pencils in a long time. It is a sweet piece of those wild looking critters. Fun that you will be joining in. I have a sketch going... but we will see if I can get it ready for tomorrow. Might share the sketch and then paint it for another post. Your cheese making is so impressive! That one will be quite special to enjoy at the holidays. Those are beautiful looking cheesewheels! Thanks for the tips, the YouTube link and the Amazon watercolour link! I'm going to check those links out. You rock! You're welcome Martha! :) I hope you find them as fun as I do! :) I actually also looked up a video on how to use the pencils. I can't find it, lost in my history, but it showed a few techniques. I want to move in with you guys. Your cheese making and recipes/cooking would balloon me to 300 pounds but that's ok....it looks so darn delicious!!!!! Its fall in the mornings here and summer in the afternoon. We got to 5 degrees last night but they are saying back to 25-26 for the weekend. Really???? Ugh. Can I just have 2 decent months of autumn please Mother Nature? Dianna...your time off was for relaxing! That doesn't include hobbies sometimes! :) Anyway, we have a long winter ahead, I'm sure there will be time for knitting then. I do most of my knitting during the winter during cabin fever months of January through to March. I have 6 cheeses aging and 2 ready to age..and I'm not done yet...there WILL be winter weight gain lol! Oh, I wouldn't squawk at 25 degrees at all! I love autumn, but I really want some hot days before October! It's a hard transition for me, I have a really hard time during the winter, so when it's too cold to sit out on the porch in my pj's, I get a little sad about it! Sea dragon looks cute and lovely Rain!!! Best wishes for your knitting,your pet looks soooooo cute and adorable while putting it on.. I wonder how do you manage to do so many things within a day ,amazing energy my friend and wish you and pray for you may you be blessed with more ,amen. Thank you Baili :)) You're very sweet! I like to keep busy, otherwise I fall back into depression and that is unacceptable for me. I know how to keep myself healthy and happy, and doing lots of things is the right formula! Though some days it catches up to me and I just spend the day in bed watching movies!! :) That's nice that your son paints for you! You should post some of that art, I'm curious to see your kitchen decoration!